Are consumers connected to the gold rush that causes deaths in a distant jungle? This project began back in July 2017, when we travelled to the Democratic Republic of Congo to report on an increase in illegal gold mining in the remote northeast of this vast country. Our team was present on July 14th when a deadly ambush claimed the lives of four park rangers and a civilian, all murdered by militia fighters in the Okapi Wildlife Reserve. It seems that the purpose of the attack was to seize control of gold production. The shocking event prompted us to investigate more deeply and nearly a year later we’ve been able to draw a line between those deaths in a distant jungle and our daily life in the rich world. 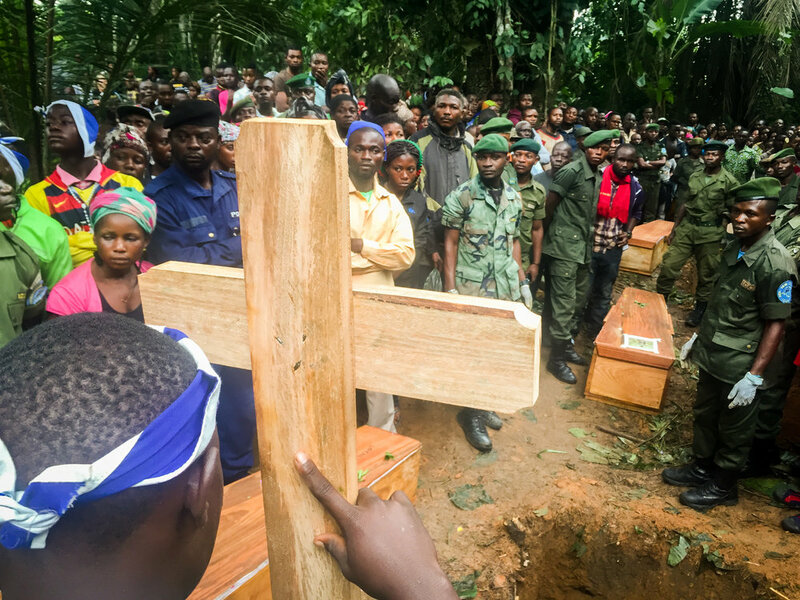 The jewelry and electronics around us in Europe are directly connected to the ongoing circle of violence in DRC, as the country’s bounty of natural resources fund militias and mayhem, while its gold ends up in our phones and laptops. It's often impossible to trace the origin of gold, so we set out to examine the residue of conflict and the trail of social and economic damage left by the gold trade. What we found during our research has become the web doc “Congo's Gold”, a Lighthouse Reports production, as well as in-depth analyses and a series of supporting articles.